Volunteer projects and nature based tours are a combination of elements that offer study tour participants the chance to have a profound and interactive experience. 34 students and 4 teachers from KIS International school Bangkok partook in a four day program that took them from Khao Sok National Park to service activities in the Khao Lak area. The nature based portion of the study tour took place in Khao Sok National Park. This area has lush primary rainforest that is scattered with large limestone Karsts that were once a part of a coral reef system that stretched from Borneo to China. It dates back 66 million years and has a diverse and plentiful ecosystem. 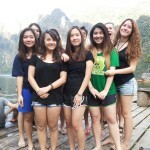 The students began their journey at the floating bungalows on Khao Sok Lake. Activities included kayaking, swimming and taking a guided bamboo raft to a cave that has old stalagmite formations. The next day, they participated in a jungle survivor led by experienced guides that offered insight into the flora and fauna that are found within the extensive Khao Sok Rainforest. Throughout the day the students learned how to find fresh water, make a fire and cook rice and curry in bamboo! The second part of the study tour was service based and began at Yaowawit School that provides a home for underprivileged children. 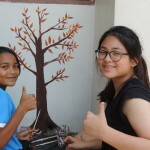 KIS students painted murals on the wall with the children, helped repair outside buildings and taught English through fun games and activities. The day was full of sharing, smiles and laughter as KIS lent a helping hand to the children of Yaowawit School. 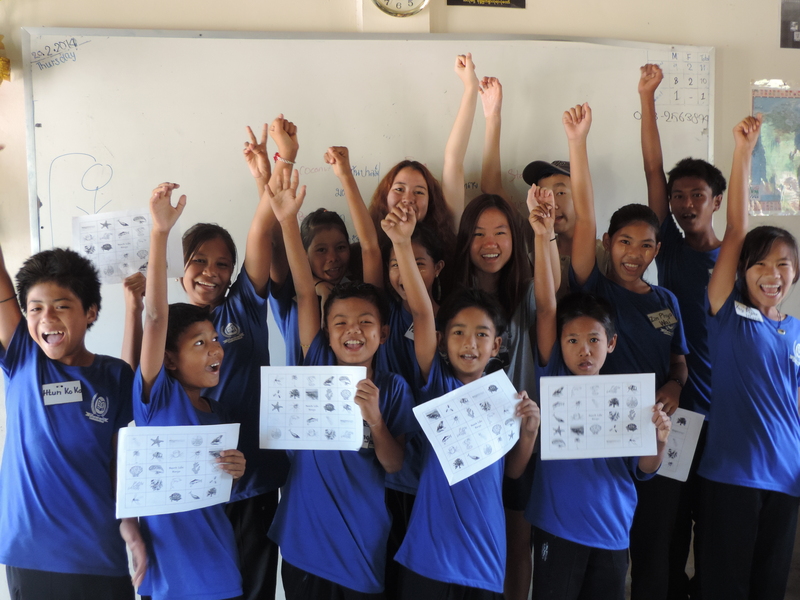 KIS then traveled to Khao Lak where one group put on an interactive English camp at a Burmese School that is run by FED (Foundation for Education and Development). The other group assisted a local Moken community (traditionally a nomadic sea fairing people) to create an English sign to place in front of the museum to try and increase the amount of tourists that visit. They also planted flowers at the entrance and learned about the traditional Moken culture by talking with the village headman. The last night was spent watching a beautiful sunset on the beach while enjoying a delicious Thai meal! The study trip allowed the KIS students to see and participate in the many different elements that the Andaman Coast has to offer!